As a factory owner or manager, you know how important it is to maintain your factory floor. Cracks and chipping not only look bad, but they can be an unsightly health hazard for customers and employees. That is why Prestige Floor Coating offers beautiful and durable floor coatings that are easy to maintain. Call us today at (443) 519-2628 to learn more or contact us online to request an estimate! Why Choose Our Floor Coating Services? Our factory floor coatings are designed to withstand high traffic, high temperatures, spills, stains, and more. We manufacture our floor coating products in-house, so we can create a product that fits your own unique needs and wants. 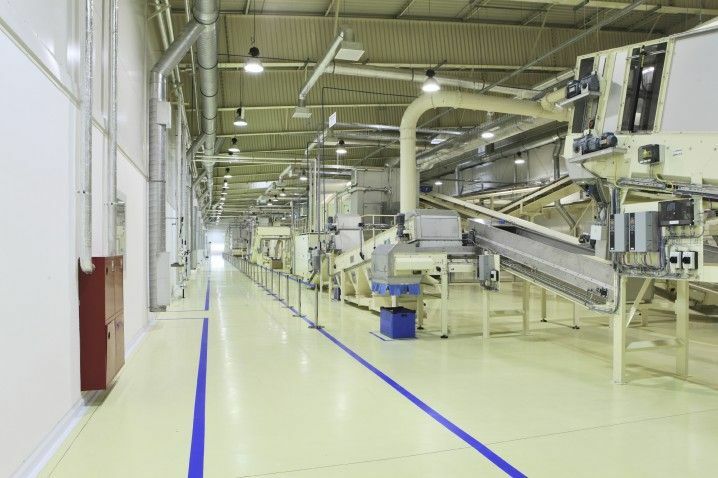 Our products are VOC-free, meaning our floor coatings will release no harmful chemicals into your factory that can contribute to employee health problems. Prestige Floor Coating has developed an extra durable floor epoxy that’s especially useful for high-traffic areas like warehouse and factory flooring. Our in-house chemists have formulated a floor coating that interacts with the molecules in your existing concrete floor to create an entirely new, one-piece floor. Our product is backed by years of research and incorporates the latest chemical breakthroughs to ensure that you are getting the highest quality flooring product on the market. The benefits of our factory floor coatings are numerous. Our floors help keep your workers safe and help to manage your workman’s comp liability. In addition, the texture in our factory floors helps to prevent slips and falls, and there aren’t any cracks to trip on as you often find with concrete floors. Our floors are easy to maintain and are virtually impervious to stains. A damp mop keeps them looking shiny and new. Our factory floor coatings will last for years with little maintenance. We’re so confident of that fact that we offer a two-year warranty on all of our floors. If your floor starts to crack or peel, we’ll replace the entire floor. Why only a two-year warranty? We’ve found that if a floor is going to fail, it almost always happens within that period. 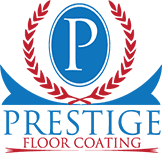 Maryland-based Prestige Floor Coating has been helping business owners create safe and durable floors in factories and other industrial spaces for more than 16 years. Over time, we have helped more than 40,000 customers and applied more than 30 million square feet of floor coating material. It’s not an exaggeration to say our factory floor coating professionals know what we’re doing! We employ our own chemists and we design and produce our own floor coating products, so you know the quality of what you’re getting. To explore how Prestige Floor Coating can help your business with its factory floor coating needs, call us at (443) 519-COAT or (443) 519-2628.